Established in 1911, Great Grandfather Les Radford started his business as a general contractor to the major mines and the local government of Broken Hill. Les Radford & Sons had a large contribution in the building of Broken Hill and was the major contractor to the three main mining companies in Broken Hill. Les's grandson, Gary Radford branched out in his own business in 1965. Gary Radford acquired his grandfather's business, Les Radford & Sons in 1972. 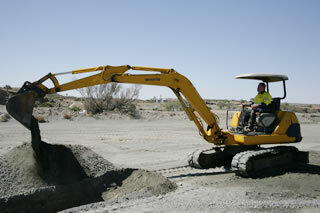 The Radford name has become highly respected within the earthmoving industry and the West Darling region. The Radford family have gained a wealth of knowledge and expertise in earthmoving, bulk haulage, crane hire, heavy haulage, open cut mining, quarrying, and quarry products, along with concrete products. The Radford family's commitment to excellence and their "can do" attitude have played a major part in building the foundation of Broken Hill and surrounding regions. Owned and directed by Steve and Margaret Radford, the Consolidated Group offers plant hire and bulk haulage from its head office location, based at Kanandah Road in Broken Hill. Steve has had extensive experience in heavy plant operation, working with and managing all areas of the business. Steve's wealth of knowledge and experience has been gained since he was at his father's side since the age of 5 years unil the age of 14 where he joined the working ranks of his father's business. Four generations later in January 2001, Steve, at the age of 40, took over the family business, which now has almost 100 years of hands-on experience. The Consolidated Group of companies employs over 300 and owns and operates over 500 items of plant, carrying out business as general contractors nationally. Steve Radford and the team at Consolidated are confident they will continue to strengthen within the industry. Consolidated envisage expansion and growth on a national level, with foresight and an instinct for the industry. With a commitment to continuous improvement to our clients plus some major developments in quarrying, contract crushing and bulk haulage, Consolidated will be around for generations to come. Consolidated (BSL) have recently won the contract with Cristal Mining Australia as the preferred partner for transport and logistics. This contract is spread over 14 years and will play a major part in sustaining the outback. Carry out regular road maintenance on the 64km haul road. 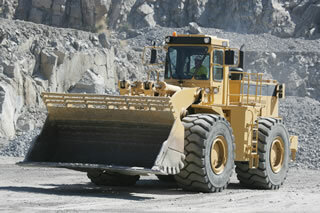 Load and handle mineral sand concentrate at the mine site. Haul over 500,000 tonnes per annum of mineral sands 24/7 from the Ginkgo and Snapper mine sites to Broken Hill processing plant. Stockpile and handle mineral sands within the Broken Hill processing plant. Warehouse and dispatch refined mineral sand product onto bulk rail train. Consolidated has started "Research and Development" in the area of mineral fertilizers. We plan to use our waste crusher dust along with other minerals and recycled organic products to create a superior range of soil enhancement products for agriculture.